Even though a bit late, Mozilla is making steady progress with the mobile phone version of its popular web browser, Firefox. 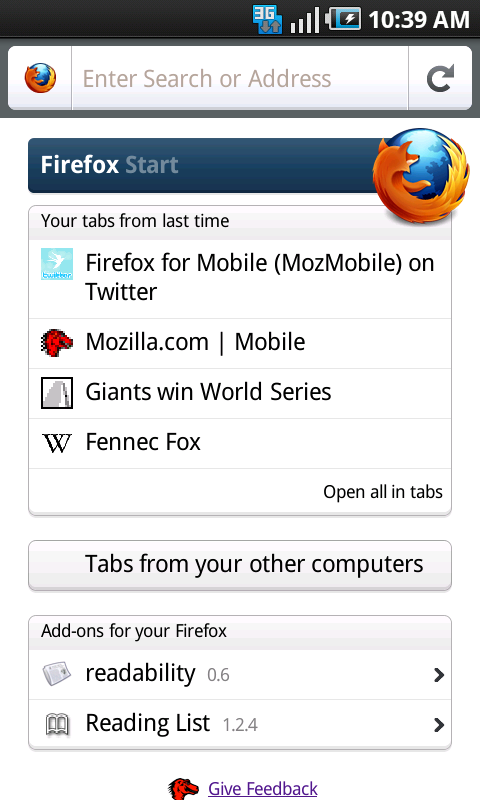 The latest Firefox 4 beta for mobile brings in a lot of speed enhancements and it is much lighter as well. What's new in the latest Firefox 4 beta for mobile? Reduced memory usage and improved text rendering. 60% install size reduction on Android (from around 43 MB to 17 MB). UI improvements in the latest Firefox 4 beta for mobile include a new theme that gives Firefox a fresh new look, the ability to easily share links with your friends from the Site Menu and the ability to undo closing a tab. Hardware acceleration coming up which will make scrolling and zooming even faster and will enable HTML5 video to bring a more rich browsing experience to your phone. Read more about the latest Firefox 4 Beta for mobile at Mozilla blog. A note for Android users from Mozilla: Due to some technical limitations on Android, upgrading won’t remove some of the old files that are no longer needed. Therefore, you must uninstall the previous beta before you will see the size improvements. 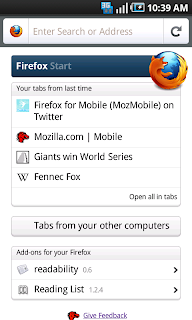 Download Firefox 4 Beta for Mobile.